Don’t forget the method of allocating the club’s allocation of London Marathon entries. There was a record turnout at the Conwy Half Marathon on Sunday 18th November with nearly 3,000 finishers. The event which includes a lap of Llandudno’s Great Orme was being staged for the 10th time and the weather conditions were: Dry and sunny with a headwind to contend with as the runners descended the Great Orme which abated somewhat on the return journey back through Deganwy to the finishing line at Conwy. 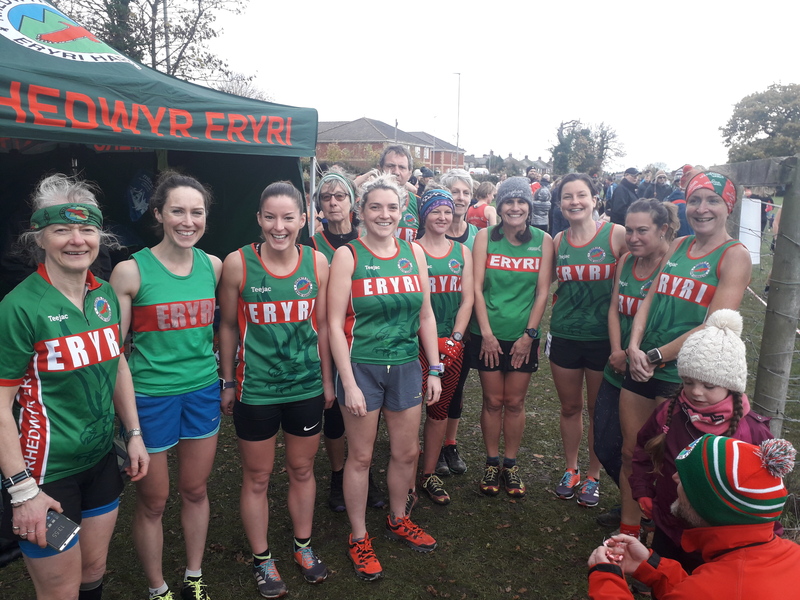 The race was won by Gwyn Owen in a time of 75:27 and of those noted as being Eryri Members in the results were: (All Chip Times) 24th Eifion Williams 81:26. 29th Ian Edwards 81:57. 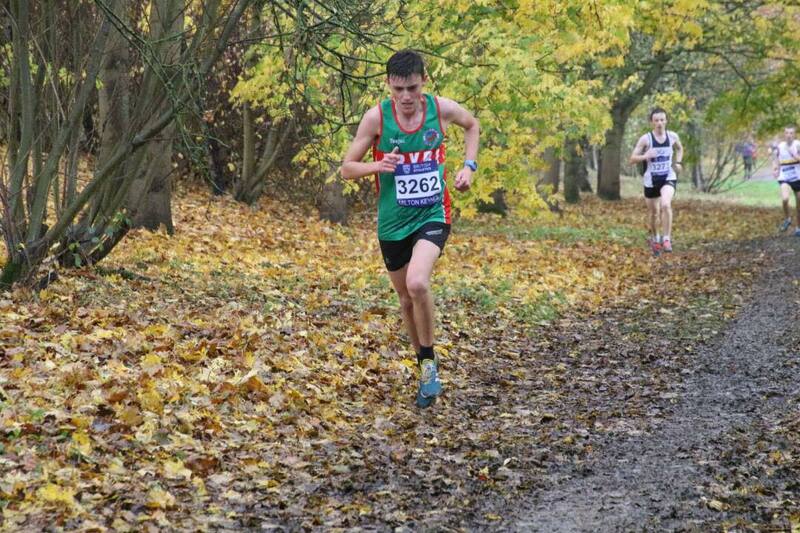 49th Nic Brook 85:40 (PB) 90th Brian Wills 88.28. 123rd Peter Rees 90.32. 125th Arthur Connell 90.51. 148th (8th Female) Catherine Connell 91.51. 165th (2nd MV/60) Arwel Lewis 92:32. 200th Mat Leonard 93.48. 235th Emlyn Roberts 94.59. 447th Kristin Luke 98.39. 526th Dylan Huws 1:40.25. 971st Chris Hoult 1.46.43. 1077th Gwenllian Dafydd 1.53.10. 2775th Kes Taylor 2.36.16 & 2762nd Iorwerth Roberts 2.35.27. 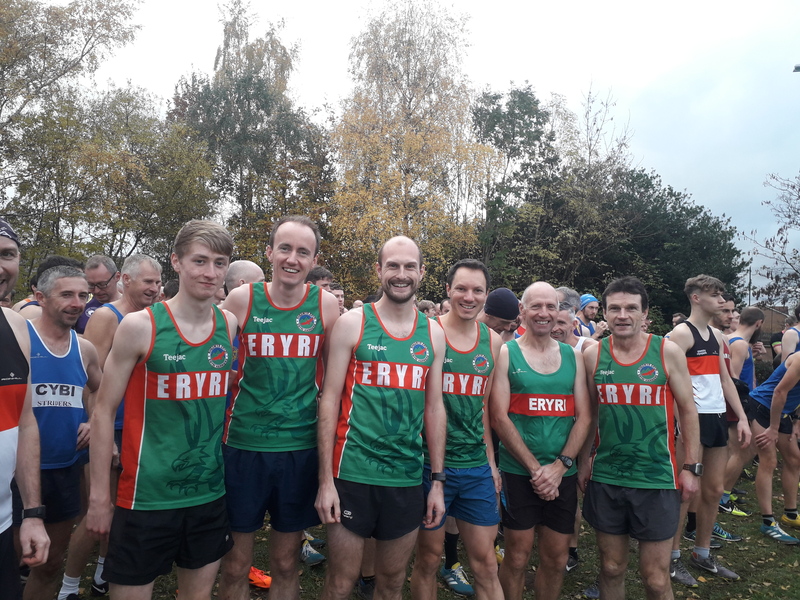 There was a record breaking turnout of 441 finishers for the 2nd race of the Borders Road Running League at Upton, Chester on Sunday 11th November unfortunately, it was a record low for Eryri’s men with only two members competing! Still, Eryri’s women yet again outshone their male counterparts with a full team of three competing. On a damp but bright morning, and despite the early start time of 09:30am, the Chester Spring 5 miler course drew a record turnout for the League, the women’s turnout of 153 was also a League record with Helen Blair leading the Eryri Women’s team home in 267th place overall with a time of 38:00 closely followed by 272nd placed Becky Law 38:05 and 394th Alison Donnelly 46:00. 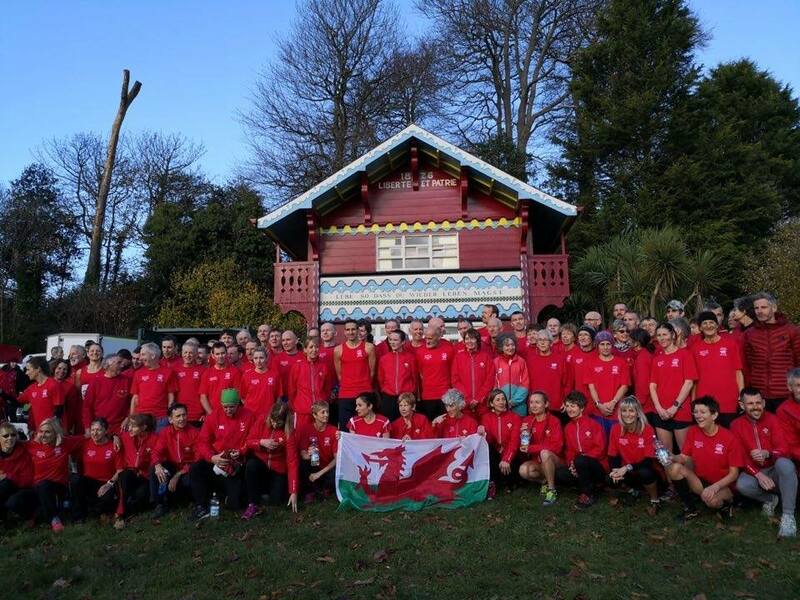 All of whom had competed for the club the previous day at Wrexham in the North Wales Cross Country League. A superb effort and dedication to the club. 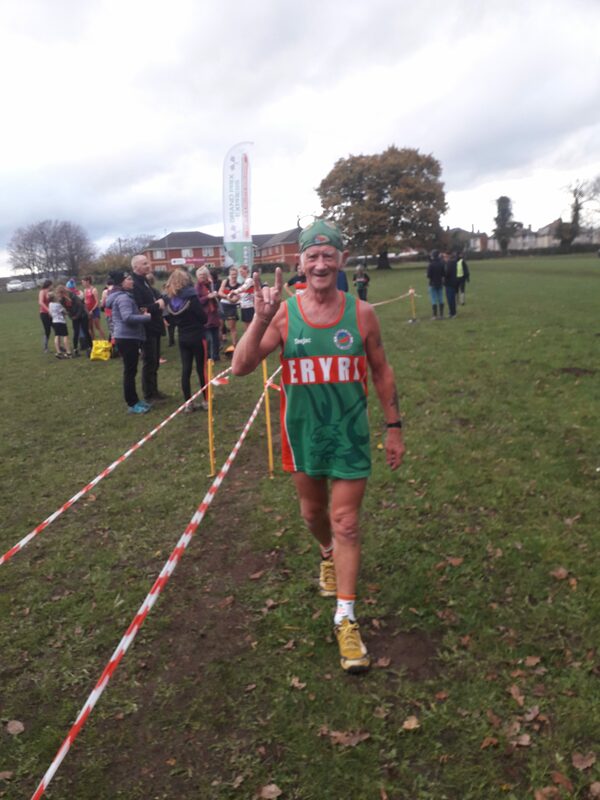 Arwel Lewis had also competed the previous day at Wrexham and finished 147th overall and 1st Male over 60 in a time of 33:28 while Roy Jardine, competing in his 82nd Borders League event finished 422nd overall and 5th Male Over 70 in a time of 51:03. Eryri’s women are currently 4th in their respective 2nd Division while Eryri’s men prop up the rest of the League! The next race in the Borders Road Running League is more closer to home on Anglesey at Trac Mon, The Anglesey Racing Circuit. Ty Croes. Starting at 11am. Distance 5 Miles. The event is free to enter, just turn up in your club vests and enjoy the race. This weekend has been fantastic for Eryri’s cross country runners! 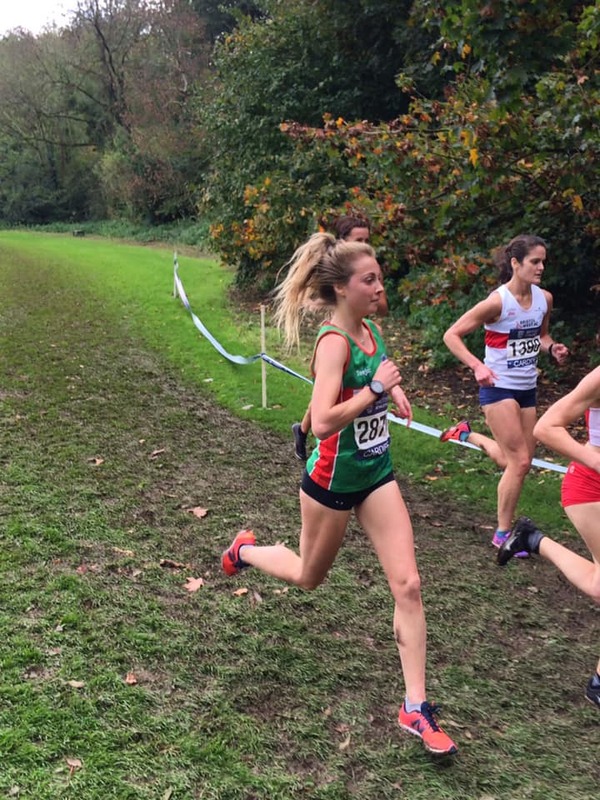 Eryri’s Bronwen Jenkinson is over in Spain representing Wales at the Cross de Atapuerca in Burgos after a brilliant run in the Cardiff cross challenge in October (huge congratulations Bronwen!). 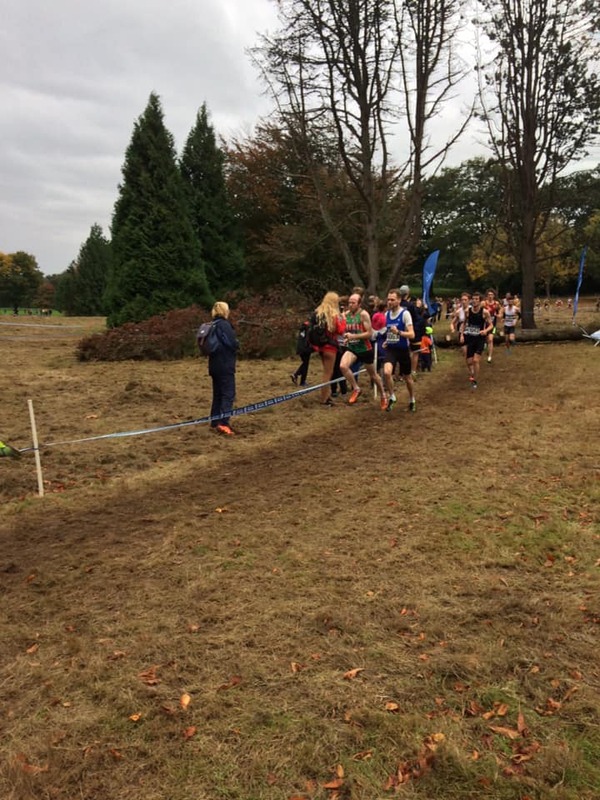 23 Eryri Harriers (14 ladies and 9 men) also ran in Wrexham at the third fixture of the North Wales Cross Country League, with James Blair running in the junior races earlier in the morning, coming 6th in the under 13 boys race – well done James! The first senior race of the day saw Miranda Grant lead Eryri’s ladies team home in an amazing 3rd overall (1st V35). We had a very strong field at the front, with Andrea Rowlands, Elliw Haf coming in 9th and 11th, followed by Tammy Ddrwg Lewis-Jones, Megan Hughes and Helen Blair coming in 27th, 28th and 30th. Next in was Becki Law and Ellie Salisbury (49th and 59th), closely followed by Gwenllian Dafydd (62nd) – huge congratulations and well done to Gwenllian on her first cross country race, her fastest mile and a 5K PB (we think!) all in one go – smiles at the end were awesome! Strong runs from Kate Potter who was next (66th), followed by Alison Donnelly (110th), Sue Taylor (114th), Viv Edwards (116th) and Maggie Oliver (124th). Well done also to our 3 amazing 065/070 runners, Malcolm Jones (5th), Geoff Fielding (15th) and Mike Blake (18th) who also took on the flat, fast course! Fantastic turnout and brilliant running everyone! We just made a 6-strong senior men’s team so huge thanks and well done to all who turned out – we were great on the day (provisional results suggest 4th), with a strong first time appearance in the league from Tom Wood (1st U20 and a fantastic 7th overall), followed by equally strong runs from Rory Arthur Johnson (13th) and James Bowden (20th), meaning we had our first three runners in the top 20 which is absolutely brilliant! After helping with all things cross country in the morning (including some gazebo first aid), Matthew Fortes followed up with another strong, well-paced run in 35th, with Russell Owen racing injured after getting knocked off his bike (!?) and still coming in 47th and 1st V60, followed by the race extraordinaire Arwel Lewis in 84th! However, we still REALLY need to keep up with our attendance to avoid relegation for the men (and maybe do quite well too!) and to keep up with our improving and potentially podium positions for the ladies – next league fixture is on Saturday 12th January, Northop and the final one is in Oswestry on Saturday 2nd February . Come and help your club teams! All Eryri members with who have lived in North Wales for 9 months or more are eligible to run – it’s a great course on the fields near Rhug Farm shop, Corwen. See attached for details and how to enter. It is possible to enter by email by 28th December, and pay on the day. The second race of the Borders Road Running League 2018/19 season takes place this Sunday 11th November at Upton, nr Chester with an early 09:30am start. Please car share for this event. Gwyn Owen added another Parkrun win to his total at Newborough on Saturday 3rd November with a time of 17:19. Helen Morgan was the first female finisher with a time of 23:33.